Want to make your Android phone more beautiful? If yes, then you have landed on the correct page as we are here today with some of the best and fastest Android Launcher that will make your simple, smart phone look more stylish and customizable. 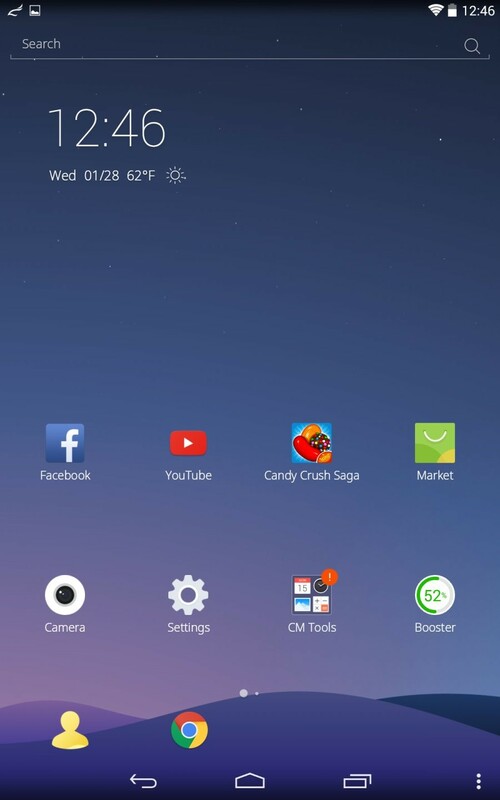 Well, Android launchers are all about making your Android phone look more customized and user-friendly. They allow you to enjoy the excess of impressive themes and icons that you will get after installing a launcher. You can then have complete control of your mobile device and its performance. So in case you are looking for installing an Android Launcher, I am sure you want it to be quick loading, fast and with awesome UI. Geeks, be with me, I will be telling you some of the coolest and fastest Android Launchers 2018. Now you might be thinking what exactly are these launchers? Well, Android Launchers are nothing but sort of apps using which you can customize the home screen of your phone, its icons, and fonts along with user interface. You can even tweak between many windows using the launchers. In short, installing these launchers, you are redesigning the interior of your device exactly the way you want to. These are Fastest Android launchers for Android OS. Currently all over world android is most used mobile OS. 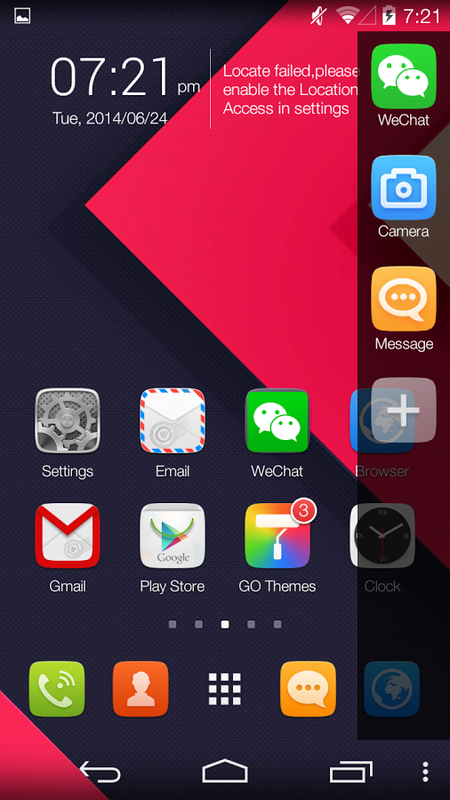 With this android launcher also can be used with Fastest android launchers for Slow phones. One of the main advantage of our listed fastest android launchers for jellybean, gingerbread, and lollipop. So, just in case you are thinking that customizing and styling your device with Android Launchers will narrow the speed of your smart phones, then you need not worry, as here we are listing top 7 Android launchers that come with a bundle of stylish features and are super fast too. Have a look at experience out of the box software for your boring phones. So let’s check out fastest lightweight android launchers. Action Launcher has always been favorite of all the Android users and definitely tops the list with its bang on features making it fastest android launcher. Among the most impressive ways to personalize your smartphone is to use a launcher. Launchers permit you to take advantage of tons of habit Android topics and icons, in addition to offering near complete control on how your phone performs when switching screens. Comes with Quick Drawer which is a left hand side bar that allows you easy swiping and accessing the apps easily by arranging in alphabetical order. The feature of Covers or Direct Action button present in it groups the similar apps within a single folder. Quick search option to quickly search your photos and music files while its Quick theme option gives you the idea to select from various themes that suits your background. Hide your status bar using Launcher settings and has a hidden home screen with Quick page feature. Use live wallpapers as well as change the fonts from different Roboto variants available. It is compatible with every Android OS, and its upgraded version comes with Shutters and covers as well. It is little confusing in use as how to arrange icons using covers and shutters and to design its layout becomes tedious. You can customize just about anything with these launchers like changes of screens, icons, fonts types, and size also. It also provides a lot of widgets to complete a pleasant experience for the user. There are many launchers on Google Play retailer which can be quickly and changes the overall connection with the phone for android users. So let’s check some of the fastest android launchers 2018. Well, second in the list comes with another innovative launcher called as Apex launcher that has remained favorite for many for very long time. Almost similar to Android in looks but some extraordinary features make it iconic. You can get it for free unlike Action Launcher though its Pro Version is also available. You can use plenty of icons on the home screen with smooth scrolling, making it work fast and can even use transition animations making it stylish. It comes with many icon packs and themes to select from. Arrange home screen according to grid size which is easily customizable. Scroll docks smoothly with transition effects and even works with tablets. If you do not upgrade to its Pro Version, certain features might not be available for you, like unlimited drawer tabs and Apex Notifier extension and to buy it from in-app purchase you need to pay $4.49 to access its other features. This launcher is new in the market and can be considered as a launcher that you must try to customize your Android device. 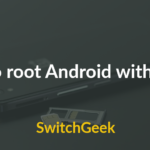 Its best part is that it will go very well with the storage capacity of your phone making it a light weight launcher but with great features of interest. Its highlighting specs is the anti virus protection that is built in it, that secures your device making it fast and safe. Its most important feature is its Direct Integration with CM Security against threats. Easy to use as it comes with basic designs and themes. Has smart folders to maintain your apps in one place with innovative icons. Though it is used by a large number of users, it lacks in its battery saving mode as using this launcher, the battery of our device drains misleadingly. Well, this launcher gives tough competition to other launchers as it is one of the most popular launchers among Android users. This one is the best if you want to completely change the look of your device. You will be fully satisfied using this one because of the simplicity and intensive themes it offers you. This too comes with icon packs which are very over rated. So if you want to customize your phone at its best go for this another fast launcher. 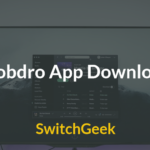 Besides rendering so many extensive features, it has a major setback – as using this launcher pops up ads and third-party apps constantly and also lacks glaring effect on screen. Thought of buying a Windows phone but could not own it? Well then try this because this launcher solely serves this purpose as it will convert your Android phone into Windows phone. It is another hot launcher for Android users with bundles of customizable features that are free to use. 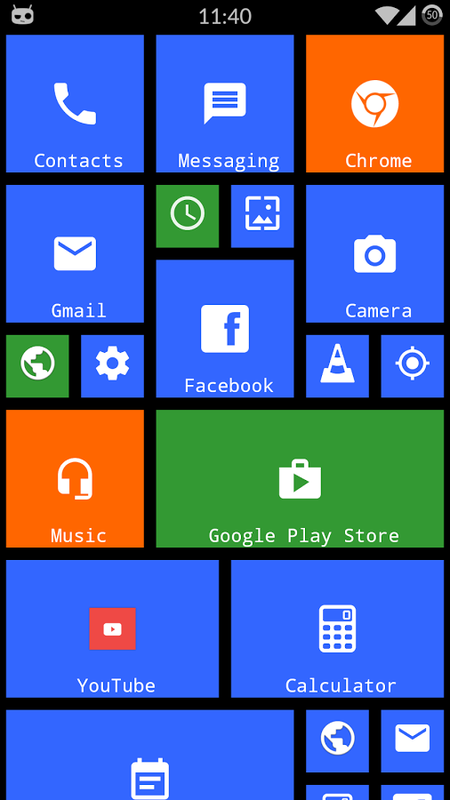 By installing this launcher, you can convert your widgets into the style followed by Windows phone, and it will let you virtually create the experience of working on Windows phone only. 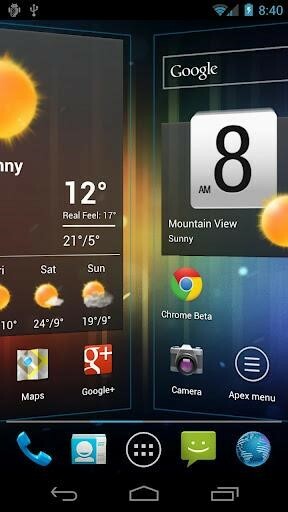 This launcher stands out of all other Android Launchers because this one is a 3D launcher and is a unique one. 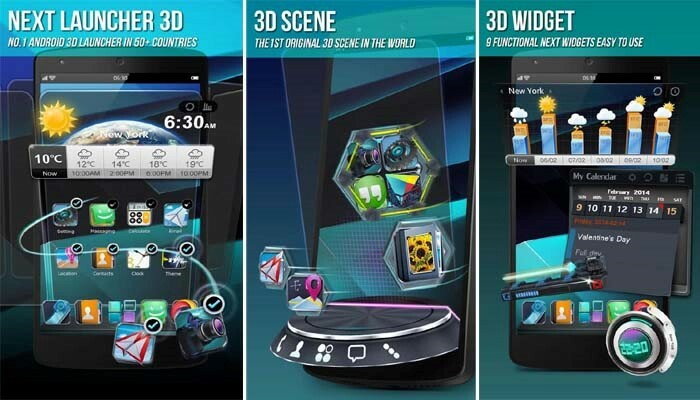 To experience 3D animation and 3D styling home screen, this launcher will let you scroll your tab or screen very quickly and fast to any other home screen you have created. 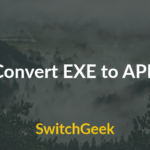 Well, it comes for free but to experience all its highly collaborated features, you will have to pay a prize of $16.99 that makes it the most expensive of all launchers. Also trying out its 3D effects will make you use many intense resources. 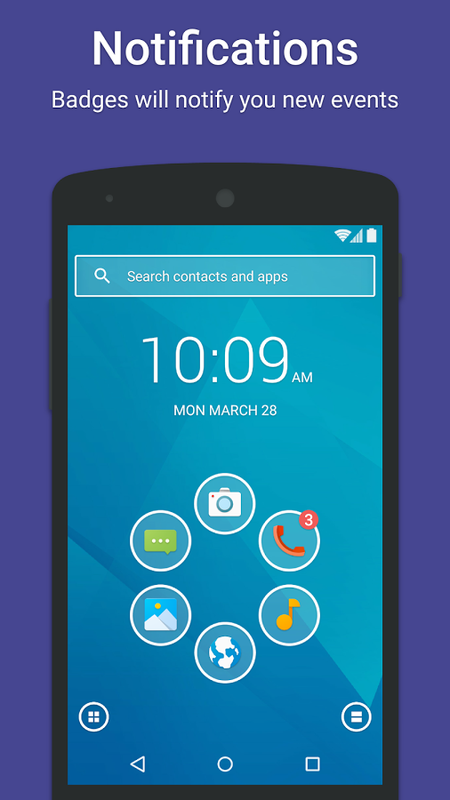 This Smart Launcher for Android users is the simplest styling launcher that is easy and fast in its use. 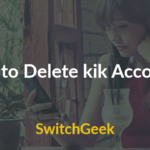 It is commonly known for its Spin Style recent app menu, the feature that makes it rising in the list of launchers. If you have a small screen size then this launcher is at its best as this contains single home screen with certain short cuts arranged in stylish flower pattern. This arrangement allows you to swipe your different icons quickly. This launcher too like CM launcher drains a lot of battery because of its some extra features that it offers and also the feature of notification doesn’t work for some of the users. Conclusion: No doubt there are tons of Fast Android Launchers available for users but above mentioned are fastest android launchers, and also it does not make your phone hanged. To make a choice easy for you, we have handpicked some of the Fastest Android Launchers that are worth to use. They are quite recommended ones if you want to customize your device and want to have full control over its interior designing. So avoid any hassle and just use these Android Launchers that are best for you. Happy Launching! This is a great list of the best android launcher. 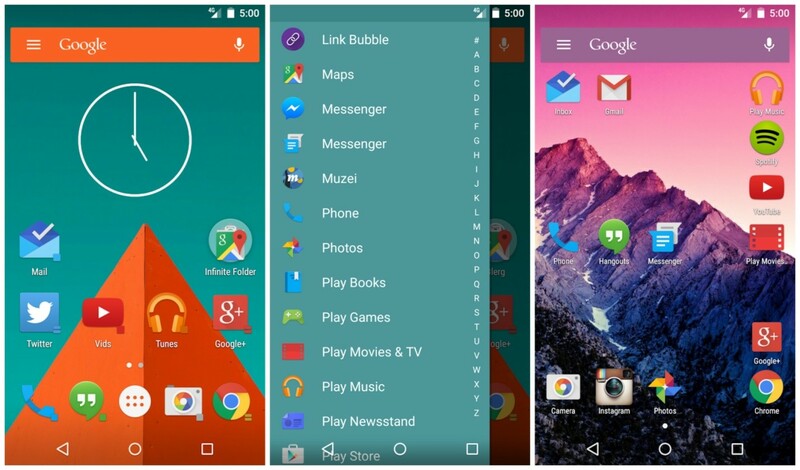 I really like this list and I will surely try these android launchers on my android phone. I am using nova launcher prime on my phone and it is working flawlessly so far. I will also try some other launcher as mentioned in this list.